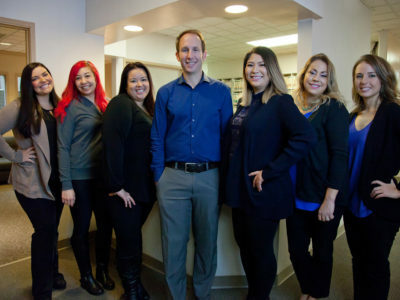 When it comes to your West Seattle dental care, we believe our friendly team of dental hygienists, assistants and patient care coordinators are the best. It’s all about developing a trusting relationship, so patients can rely on our team to not only provide the highest level of oral health care, but to also offer a comforting dental experience. Our team enjoys helping patients of all ages, and they do it with a gentle touch, taking into account the unique oral health care needs of each patient. They leave our patients with a smile, not just healthier teeth. Perhaps that’s why so many of our patients and their families keep coming back or referring their friends to us! Please take a moment to meet the members of our extraordinary team. And if you’re not already a patient, don’t miss out on the fun! We’re always accepting new patients. Make an appointment and discover for yourself why the Westview Dental team is second to none.